Welcome to Koelling & Turnbull Chiropractic! St. Peters chiropractors Dr. Richard Koelling & Dr. David Turnbull are dedicated to helping you achieve your wellness objectives -- combining skill and expertise that spans the entire chiropractic wellness spectrum. Dr. Koelling and Dr. Turnbull are committed to bringing you better health and a better way of life by teaching and practicing the true principles of chiropractic wellness care. 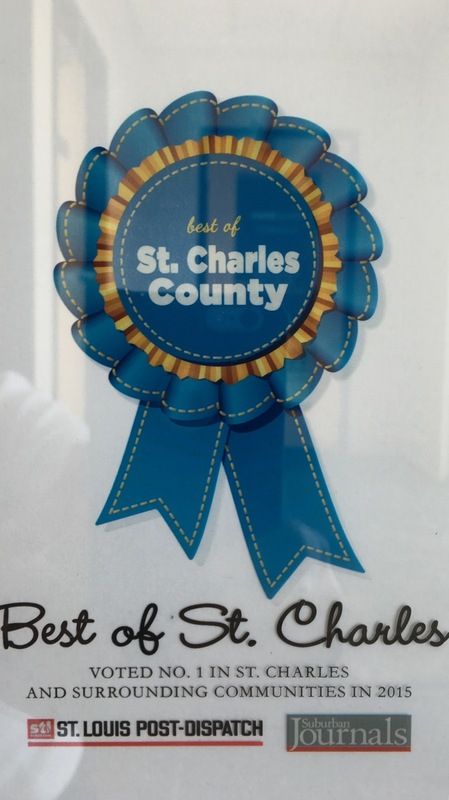 Dr. Koelling and Dr. Turnbull have been serving St. Peters, St. Charles, and Ofallon since 1990. Patients seeking treatment at Koelling and Turnbull Chiropractic are assured of receiving only the finest quality chiropractic care through the use of modern chiropractic equipment and technology. Dr. Koelling and Dr. Turnbull spend many hours in post graduate chiropractic education so they can stay on top of the latest developments in chiropractic science. This allows Dr. Koelling and Dr. Turnbull to incorporate the latest chiropractic methods into your treatment plan. Dr. Koelling and Dr. Turnbull use gentle chiropractic treatment combined with massage, acupuncture and physical therapy to get you back in action as quick as possible. In addition to chiropractic adjustments, Dr. Koelling and Dr. Turnbull provide natural pain relief, rehabilitation, sports injury and auto accident injury treatment, as well as nutrition and weight loss advice. At Koelling & Turnbull Chiropractic we believe your health is the most valuable asset you have. After treatment for your initial injury Dr. Koelling and Dr. Turnbull will routinely recommend a schedule of regular chiropractic checkups in coordination with exercise and stretching to keep you from having a recurrence and help you maintain your top performance level. If you are new to our website, please feel free to discover and learn about chiropractic wellness. If you are interested in starting your journey towards chiropractic wellness please subscribe to our award winning newsletter. If you are already a newsletter subscriber, please explore the member wellness section of our website for chiropractic articles, resources, and health facts---specifically targeted by Dr. Koelling and Dr. Turnbull to your wellness needs and interests. Koelling and Turnbull Chiropractic in the news again. Click on the link and and scroll down to "Over the Fence" written on Dr. Turnbull. How to select a good chiropractor. When looking for a chiropractor it helps to ask friends, family and neighbors for recommendations. It is also important to find a chiropractor who can meet an individual's specific needs. Before starting treatment with a chiropractor, it is best to request an office consultation to find out more about how the chiropractor practices and it will give the chiropractor a chance to begin evaluating you to see if it is possible to help you. There are many different chiropractic techniques for treating a person. Some chiropractor's adjust with their hands, while others use various instruments. The chiropractic technique is a very individual preference by both the chiropractor and the patient. Having a better understanding of the chiropractic technique will allow the patient to determine if there is a good fit. Which chiropractic techniques does the chiropractor use and why? Does the chiropractor use his hands or an instrument for the chiropractic adjustment? Does the chiropractor employ deeper, joint-popping adjustment or a low-force, adjustment? How much experience does the chiropractor have treating similar types of problems?